Our Side Grip Metering Belts are used to meter or control the rate of flow of your products according to your system demands. 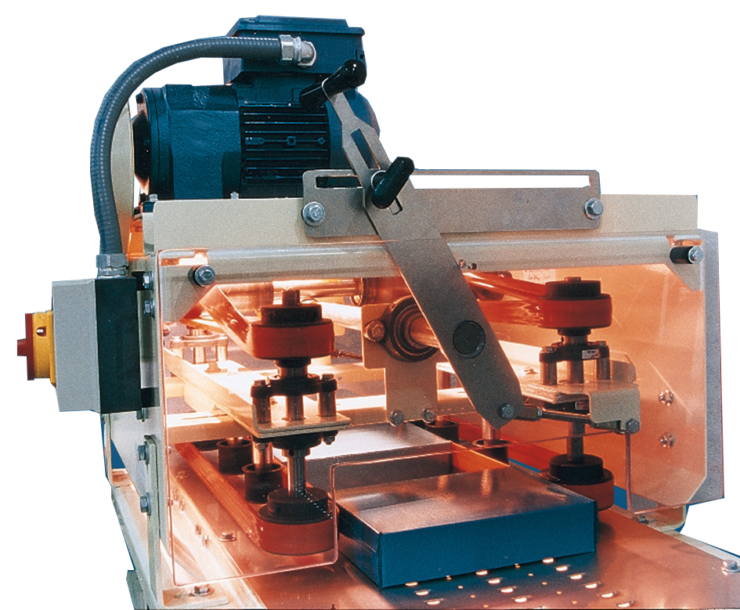 As your product enters the Metering Belt the product speed will either be increased or decreased by two side gripping urethane belts which regulate the product flow at that point in your system. Using the optional patented QuickSet® adjustment handle allows you to easily adjust the sides of your Side Grip Metering Belt to run multiple product sizes on the same system. Also see QuickSet Guides. Side Grip Metering Belts can also be mounted on a vertical frame to meter flow of product transitioning from a high level conveyor to a low level conveyor. This allows your product to descend down a chute while still controlling the speed of the descending product. With the use of the optional QuickSet® adjustment handle, overhead metering belts can be adjusted from the plant floor.